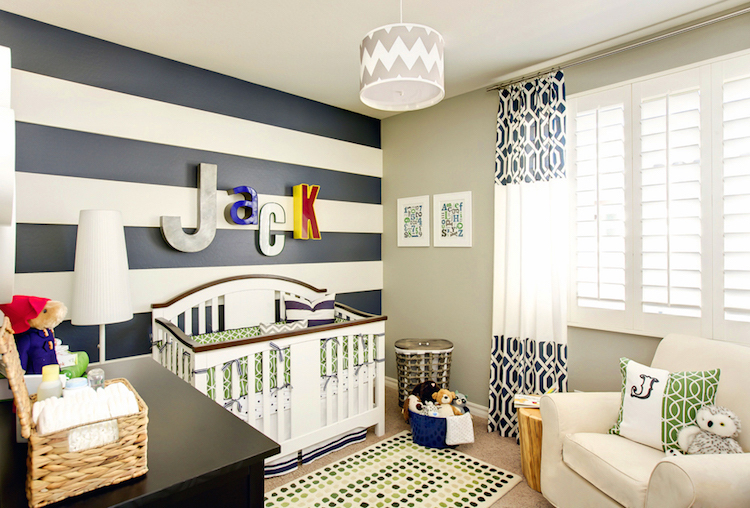 Use 2 different width of stripes to create this look. 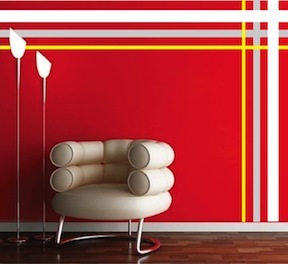 Make your inside wall feel like an outdoor paradise with the Room Stripes Wall Decals! 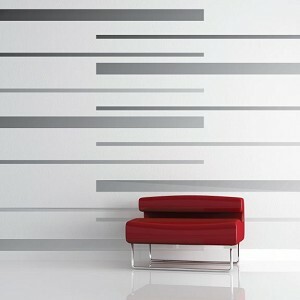 Why waste time, money, and energy with painting when the Room Stripes Wall Decals have saved you all of that trouble? Designs have many options for orientation that give you the flexibility to change and reposition to your taste if necessary. 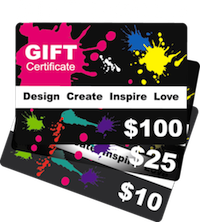 Choose between stripe design packages containing from thirty two 0.5" stripes all the way to two 11.5" stripes in width. 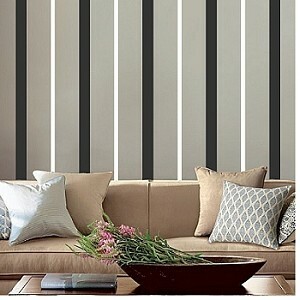 Stripes available from 4ft to 12ft in length and in the color of your choice. After painting my stairs a chocolate brown I realized it would look amazing with a stripe running down either side. Knowing how hard it is to paint straight lines, I turned to this product. It was so easy to install. The product comes with a grid on the back so it was easy to cut. When installing if I needed to remove and reapply it still stuck nicely. I have cleaned the stairs and the stripes have not shifted or peeled. People have no idea it is not paint!! Love how they turned out. I got these in 1" 8ft tall and 3" 8ft tall in slate grey (almost black) and silver. The room looks AMAZING! we just did one wall and i'm thinking of doing some of our other rooms the same way, It looks so good.I am a very satisfied customer. Hint: It was easier for us to cut each one individually and applying them while removing the base paper at the same time. If you mess up you can just peel and re-stick them with out losing any adhesive (good quality). instead of taping the wall , paint etc.. i got these removable stripes. looks good and all and end result is good, just took us an hr to clean & cover the wall. 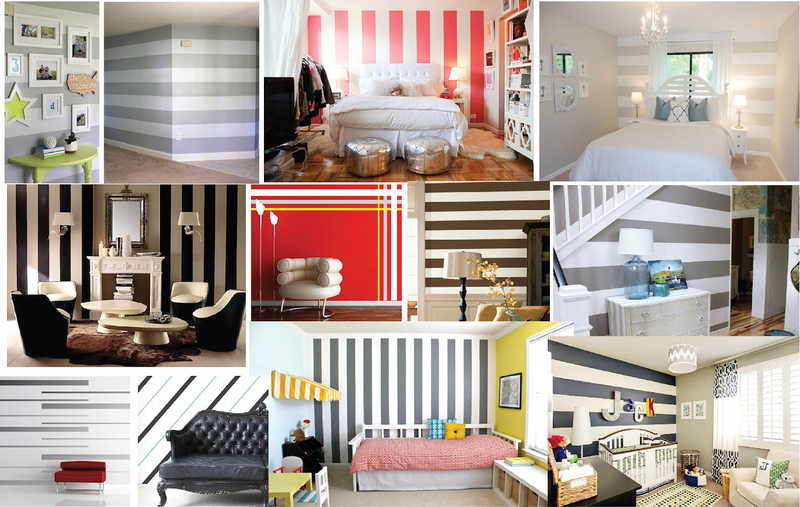 we want it to paint one of our rooms with stripes and i was wondering what the best way would be to do it until we found these stripes. life and time saver. they look great. colors very nice and has a matt finish. looks very clean.